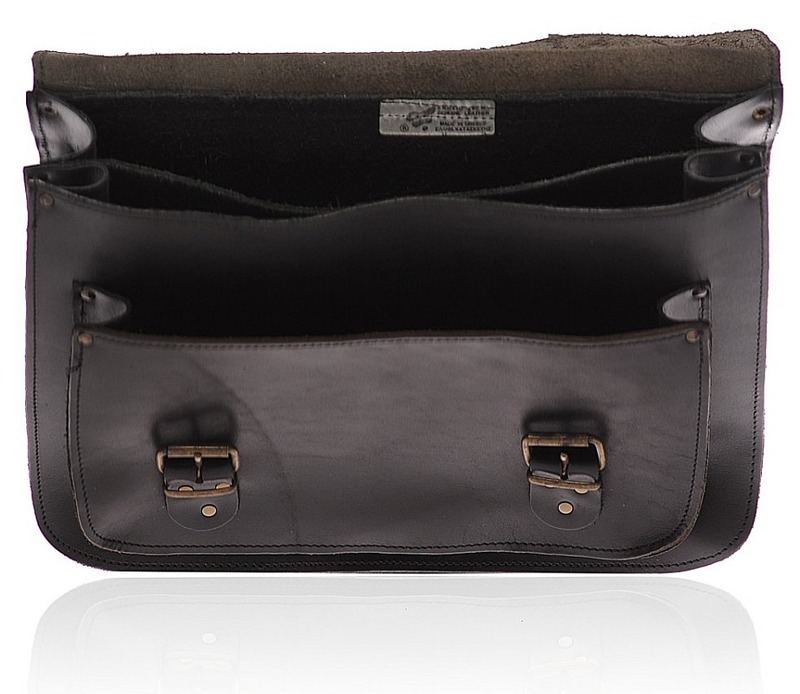 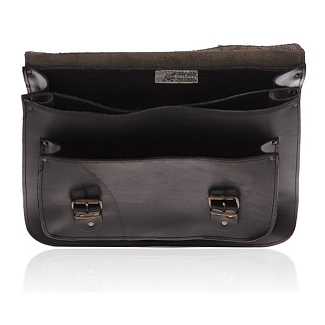 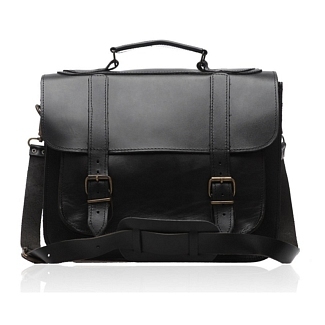 The POSTMAN black has a very simple design: a lid that is flanked by two buckles on either side and a handle on top. 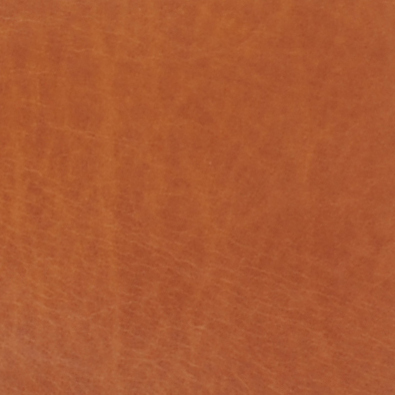 However, it’s true worth is realized when you touch the fine grained calfskin leather and feel the smoothness of the surface. 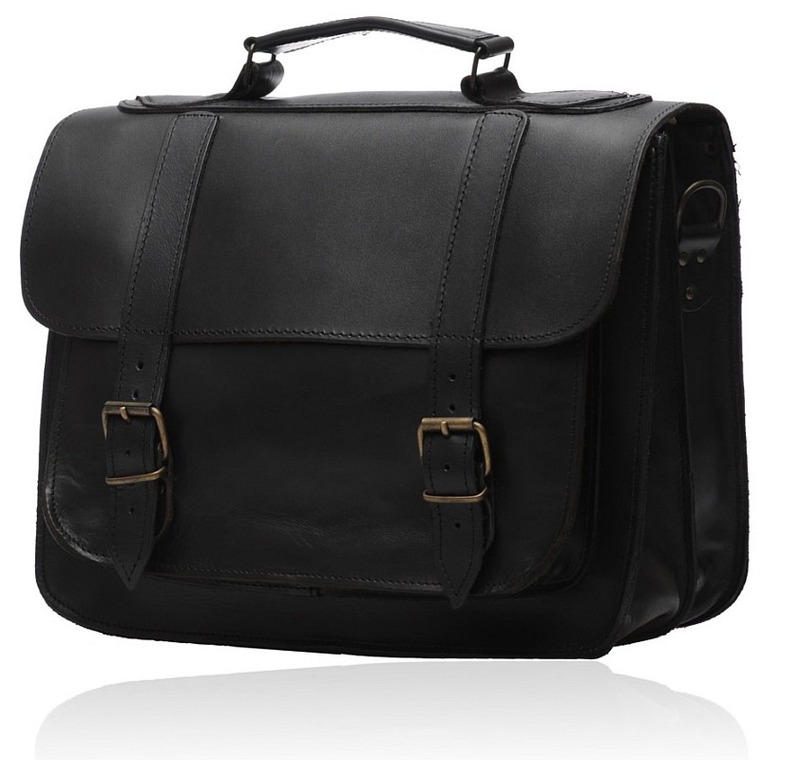 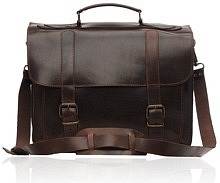 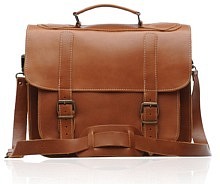 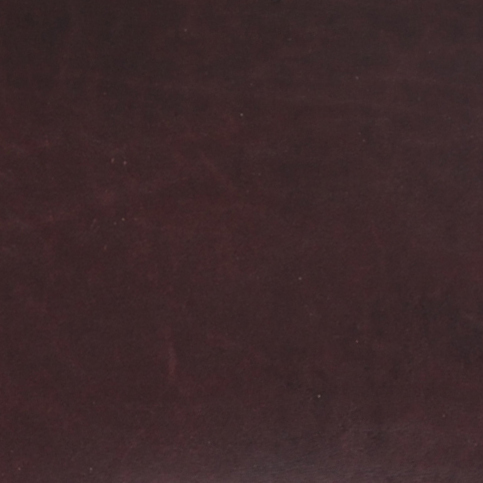 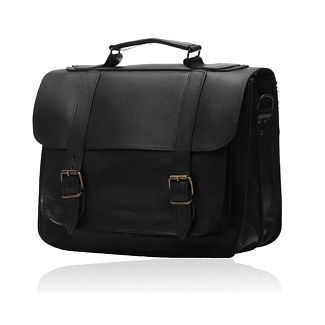 This is perfect for people who want a leather briefcase for their work. 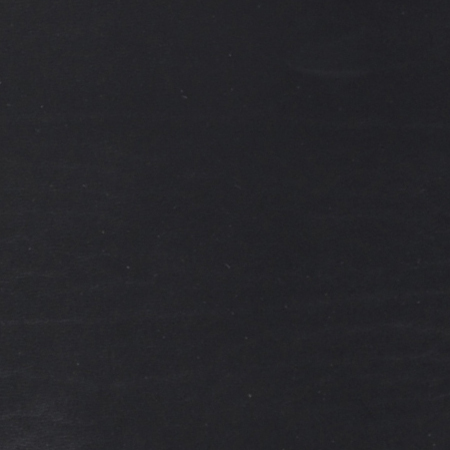 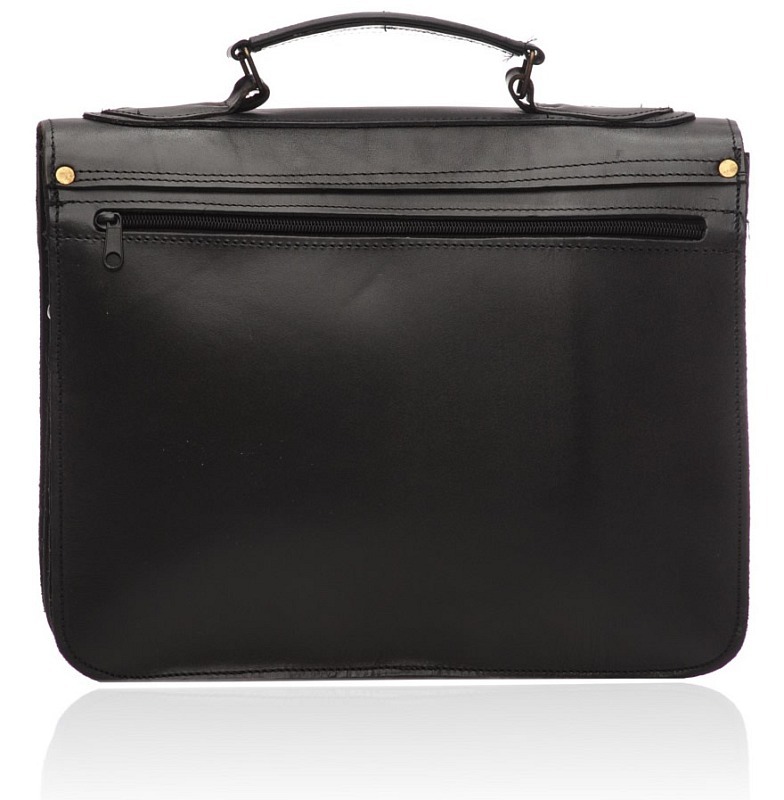 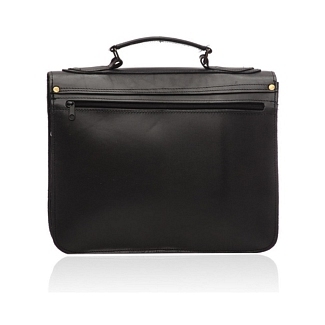 The insides include two compartments as well as a smaller one, meaning you can put in as many documents as you like in this black briefcase.There is also a back zipped sleeve. 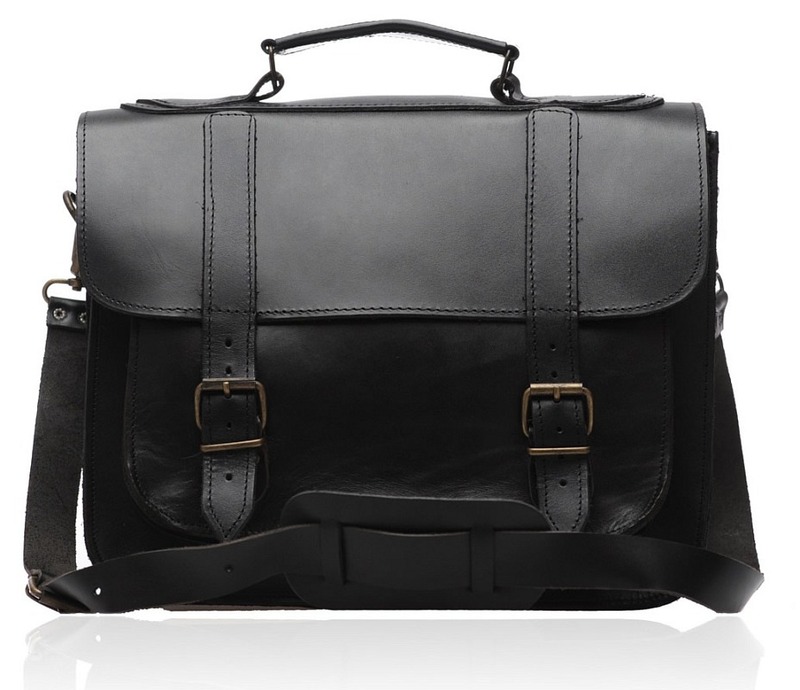 This is from our Old Post collection and you also get a shoulder strap along with the briefcase in order to provide ease while carrying it around.